Non-compliant Volkswagens dirtied Minnesota's air so much that the state is getting $47 million to clean up old diesel engines, purchase electric buses and increase its network of electric charging stations. In a plan released Wednesday, Minnesota Pollution Control Agency officials said projects to replace dirty diesel engines will result in a reduction of 4,000 tons of nitrogen oxides or NOx, a pollutant that negatively impacts health. "We're removing the equivalent of hundreds of thousands of cars from the road by changing out these engines," MPCA Commissioner John Linc Stine said. Volkswagens aren't the target for the funds being distributed to the states — the non-compliant vehicles are being handled separately. Instead, each state is getting funds to make up for the harm caused by the scandal. Stine said the 10-year plan to spend the funds is aimed at getting the biggest emissions reductions for the least amount of money. The settlement money will pay for a share of projects, with private businesses and other partners providing the rest. According to the settlement, the VW scandal resulted in 600 more tons of NOx being emitted into Minnesota's air than should have been possible under emissions regulations. Under the plan, NOx emissions would be reduced more than six times that, said MPCA Assistant Commissioner David Thornton. "The violation was focused on nitrogen oxide emissions, but we get benefits from other kinds of pollutants that are going to be reduced through this project," he said. That includes particulate matter, which contributes to asthma and other respiratory conditions. A 2015 Minnesota Department of Health report estimated that air pollution causes 2,000 premature deaths in the Twin Cities every year. The report also found that air pollution disproportionally affects people of color, the elderly, children and those living in poverty. Tailpipe emissions are the largest source of air pollution in the state now that power plants and manufacturing facilities have been cleaned up through regulations, Thornton said. The settlement plan released by MPCA divides the project into three phases. 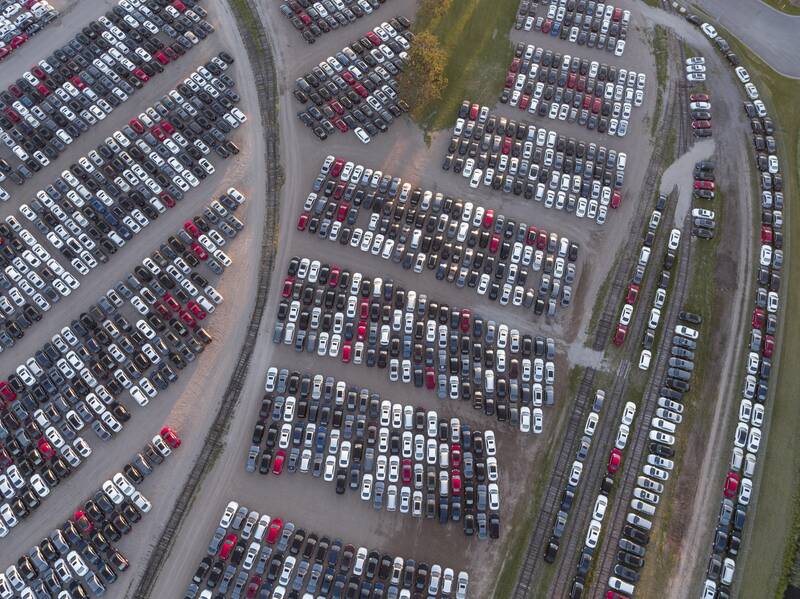 Sixty percent of the funds will be spent in the metro area, and 40 percent will go to greater Minnesota, based on where the non-compliant VW vehicles were located. In the first phase, 15 percent of the funds will go toward electric vehicle charging stations, which is the maximum allowed under the settlement. "It's not going to supply all the charging that is needed, but it will give us that minimum basic network that will allow us to get started as a state to build a market," said Brendan Jordan, who leads Drive Electric Minnesota and is a vice president at the Great Plains Institute. Another 15 of the funds in the first phase will go toward electric buses and trucks. But the biggest chunk — 50 percent — will be spent on heavy duty on and off-road vehicles ranging from construction equipment to tow boats. The state already has experience retrofitting dirty diesel engines through Project Green Fleet, but the VW settlement funds will have a much bigger impact, said Bill Droessler, who leads the Clean Air Minnesota program through the Environmental Initiative. "This is a once-in-a-lifetime opportunity. There are federal programs that do this every year ... but we get maybe between $300,000 and $2 million a year," Droessler said. He said a project a couple years ago to retrofit two towboat engines resulted in an emissions reduction equivalent to taking 12,000 cars off the road annually.